KJIPUKTUK (Halifax) – It’s been an appalling few days for anyone daring to put one foot in front of the other in our municipality. Since Friday, at least seven incidents have been reported where vehicles hit pedestrians, two in well-marked and equipped crosswalks by HRM standards. As administrator for the Facebook group HRM Safe Streets for Everyone (new members welcome) I regularly read member posts and comments about crosswalks which are seriously lacking in many respects, such as the one shown here on Dutch Village Road. But the crosswalk on Portland Road where the 52 year-old lady was hit by a bus (and is reported to have sustained life threatening injuries) has exceptional infrastructure – a streetlight directly over the section where the lady appears to have been hit, a pedestrian refuge island, flashing overhead and side lights, and it looks to have been recently repainted. Although the crosswalk at Portland St has not been neglected, we as pedestrians (and our traffic authority) have known for some time that the flashing overhead lights are sometimes not seen by drivers even when the flashing amber sidelights are in place – see page 20 in the linked report. In the very poor conditions we had on Friday night with rain reducing visibility, perhaps the flashing lights were not seen by the driver? I have never driven a bus, but I should imagine it is a lot harder than it might look to some. If a professionally trained and experienced driver makes an error, there could be a few reasons for that. On multiple lane roads known to have faster moving traffic we need infrastructure which is not just good, it must be outstanding and result in 100% safety for vulnerable road users. A 90% or even 95% yield rate in good weather conditions isn’t adequate. 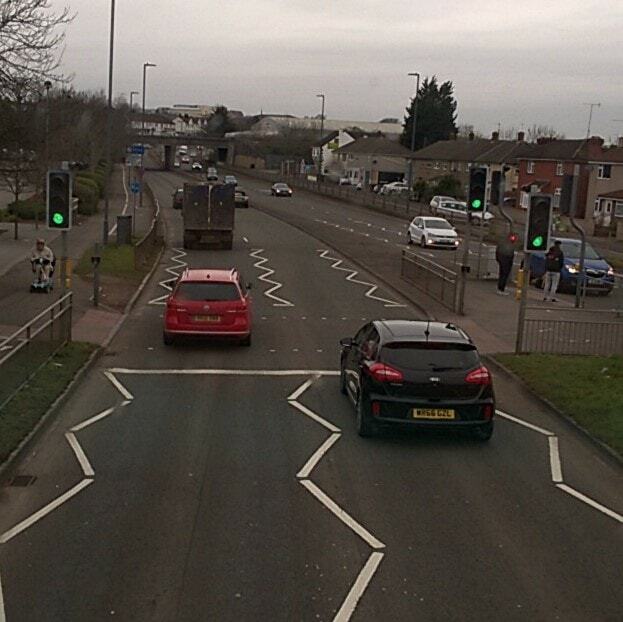 No-one wants a 90% chance of traffic stopping every time they cross a road, or less when weather is poor. Pedestrians may not be traffic engineers but they know from experience what conditions to expect at any crosswalks they use regularly. And residents who know the crosswalk at Portland Street are saying it should be removed as it’s not safe. 68% of incidents where traffic hit pedestrians happened on crosswalks last year, and Halifax endured (yet again) the highest rate of collisions in Canada, the worst of which affected vulnerable road users. That’s not normal or acceptable, and it requires urgent remedial action. We need to closely assess the effectiveness of all our crosswalks and look at ways we can address the regular incidents with some HRM-wide remedial measures which can be implemented quickly. Local residents say traffic does not slow as they approach the crosswalk on Portland St, which is a very common issue in my own experience. At crosswalks on wide and fast roads, we could either install some cheap but effective bumps or pedestrian activated traffic lights, used at all crosswalks on fast main roads in the UK where they are highly effective. In comprehensive controlled tests completed by Federal transport authorities in Washington DC, traffic lights were shown to be far more effective at stopping traffic compared to overhead amber flashing lights. Pedestrians need infrastructure which makes sure traffic stops ten times out of ten, because they get seriously hurt or killed when they’re hit by a vehicle moving at over 30 km per hour. It’s time to turn our pedestrian safety framework into an action plan. Pedestrians need at the very least to be reassured that we are taking the regular incidents on crosswalks seriously enough to warrant urgent HRM wide action, and to know what will happen where to improve safety. That need not involve expensive traffic lights at every crosswalk. There are plenty of inexpensive measures which could be implemented across HRM over the next few years, months even. I would like to see in-street crosswalk signs on our wide mid block crosswalks (shown to be highly effective in tests), speed-slowing strips/bumps at our more dangerous crosswalks, advance yield lines which ensure traffic stops well before crosswalks, also traffic lights adjusted to give pedestrians protection from turning traffic at signalised intersections, consistently the most common cause of vehicles hitting pedestrians in HRM. How important is making sure pedestrians are fully protected at crosswalks versus the need for traffic flow? I’d be interested in any comments on that subject. My view is that improving or maintaining traffic flow at any location is not worth a single life-affecting injury or death. When a friend or family member is hit and is injured, that priority becomes very clear. *STOP PRESS! * After I drafted this article I received an encouraging update from our traffic authority about some improvements to crosswalks and the planned initiation of a road safety plan. Thank you Martyn. Our community desperately needs to have this important conversation. 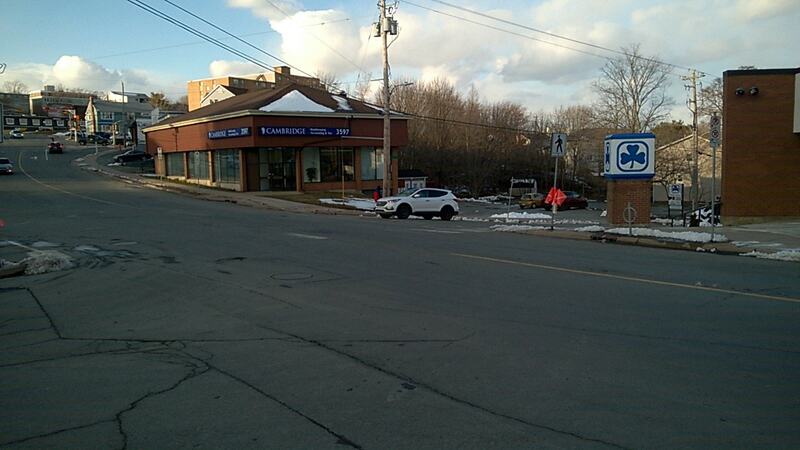 Halifax is not safe for pedestrians. Infrastructure will certainly help, but we also need to figure out how to address the driving culture here, which does not seem to take the safety of pedestrians into account. That’s a more difficult issue to address without a totally different road system and changes in law Aspen, in my personal view. Our roads are wide, fast and have every facility for allowing drivers to move quickly and easily including the timing of the traffic lights, turning lanes and high speed limits in all areas. Drivers will not slow down without the infrastructure to remind them that they need to exercise caution. 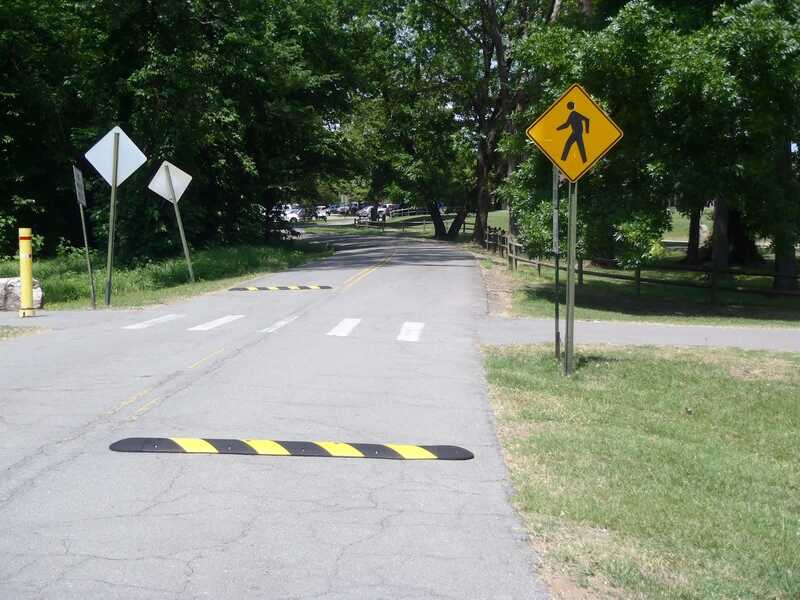 If we had speed bumps before crosswalks, what better reminder to drivers that they need to approach with caution? Without that we almost never see drivers slow down and demonstrate caution and awareness as they approach crosswalks. I honestly cannot think of any other measure which will be anywhere near as effective with addressing driver behaviour, though cameras are a useful tool too (another thing we don’t have here yet). I drive that stretch of Portland Street quite often and always pay close attention at that crosswalk. One design flaw that stands out to me is driving east, the pole for the overhead lights impedes the visual of the person starting to cross the crosswalk on the Same side as the mall, Portland Estates, etc. The pole should be on the right side of the crosswalk so full view of the person at the crosswalk is seen. The way it is now, you may or may not see the person at the crosswalk until they step out on to the roadway.